Reunion is the only tropical island in the world to play host two endemic petrels. However, if nothing is done quickly, these two species will join the list of 22 species of bird which have already become extinct on the island. This loss of biodiversity is not just a local ecological disaster, but also a worldwide disaster, because once these species are gone, we will never get them back. 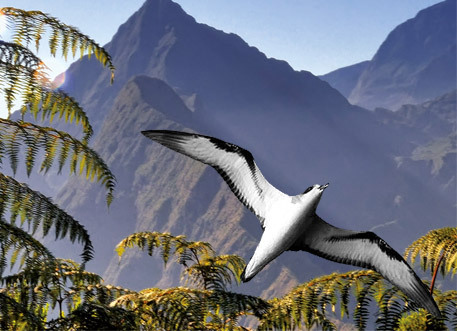 For years, Reunion National Park has been working to protect these species with the Société d’Études Ornithologiques de La Réunion [SEOR], the Office National de la Chasse et de la Faune Sauvage [ONCFS] Brigade Nature Océan Indien [BNOI], and the University of Reunion to rescue stranded petrels, organise the“Nights Without Lights” Campaign, to look for nesting sites in the island’s mountains, and to monitor petrel colonies and populations. This is an emergency situation and two national action plans (NAPs) have already been set up (1. Mascarene Petrel NAP, 2012 and 2. Barau’s Petrel NAP, 2008) which identify threats to the species and what needs to be done to conserve them, including clearing rubbish and reducing numbers of wild predators (cats and rats) as well as levels of light pollution. In order to halt the decline of these species, in 2015 a 5-year European project was initiated, dedicated to protecting these two species of endemic petrel, and with key partners joined forces to save the Mascarene Petrel and Barau’s Petrel. These partners have been working together for over ten years now. The aim of the LIFE + Petrels project is to prevent these species from becoming extinct. It will develop and implement innovative strategies and conservation techniques in a highly urbanized island, and will remove regulatory, technological and logistical barriers. It will consult and involve stakeholders, reduce threats to the species and will engage in conservation activities compatible with the island’s economic development. These endangered endemic species are among the rarest seabirds in the world.